solution for outsourcing all your website content. Are you planning large web content projects but find you don’t have the time or resources to execute them properly? Do you require unique, high-quality content but have no qualified authors on hand to write it? Does your website need search engine optimized content that will, above all, inspire and delight your readers? Take advantage of Textbroker Managed Service. Based on your requirements, we create a customized brief for your project and find the best authors for your topic. With Managed Service, you receive outstanding content written exactly to your specifications; best of all, we manage the project for you. Up to 36 languages available: Get high-quality, unique content written by native speakers in the language of your choice or use our translation service for any language around the world. Do you need Content Marketing support? With years of experience in the market, Textbroker complements your existing marketing structure. Whether you need blog posts, product descriptions, help text, or social media content, Textbroker Managed Service delivers the highest quality of service. 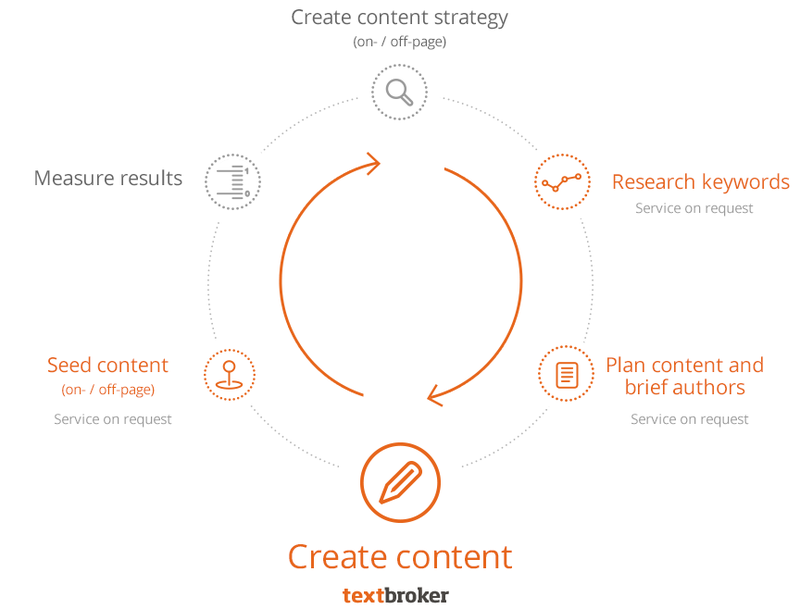 Textbroker offers complete content-related services including content analysis and strategy, keyword research, and content seeding. With Textbroker Managed Service, you can rest easy knowing your project is in the hands of professionals. Give yourself more time to focus on the core aspects of your business, and inspire your readers with high-quality website content written by experts. With Textbroker’s Managed Service, you can get unique, high-quality content in 36 different languages, written by native speakers. You also have access to our translation service for any other language in the world. For projects with a budget of $2,500 or more, Textbroker Managed Service provides you with the convenience of full project management that delivers high-quality, customized content. Click here to learn more about the terms of Textbroker Managed Service. Since 2005, Textbroker has provided custom content for thousands of customers around the globe. Read what our customers have to say about Textbroker here.